Aeon’s End: Legacy is a full campaign, where you’ll build your character over multiple games. Use them to fight off increasingly powerful nemeses in order to defend Gravehold, the last bastion of humanity. 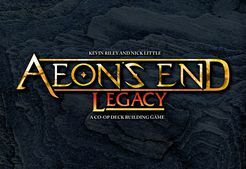 Aeon’s End: Legacy is a full campaign, a stand-alone game, and an expansion.